USA: Is high-tech "clean meat" kosher and halal? You are here: Home » Farm-to-Fork News » Food Manufacturing » USA: Is high-tech “clean meat” kosher and halal? Leviticus has swept into Silicon Valley. The ascendance of high-tech meat companies such as Hampton Creek, Memphis Meats, SuperMeat, and Finless Foods has sparked novel conversations in Jewish and Muslim circles over whether these novel products are kosher and halal, respectively. And with the first clean meat products expected to hit the market this year, tech companies are actively engaging with groups responsible for certifying food products as kosher and halal, for obvious reasons. The global kosher market is worth more than $24 billion; the halal market $1.6 trillion globally. 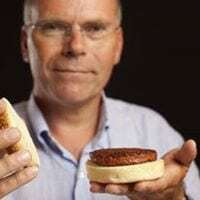 Clean meat turns conventional meat production on its head. The startups developing these products don’t rely on raising and slaughtering chickens, cows, and pigs; they need only a handful of animal cells. They then take those cells, put them in a nutrient-dense liquid medium in a bioreactor, where they grow and proliferate. The scientists behind the resulting product—a combination of muscle and fat tissue—say it’s identical to conventional meat on a molecular level. For now, the kosher-certification authorities are further along in their consideration of clean meat than their halal counterparts. Still, neither group has reached a consensus on the matter and religious scholars are split over how to address the new technology. It’s a topic that’s opening up important discussions around how clean meat will fit into the culture of cuisine. Fortunately for clean-meat startups, the person who will ultimately decide whether their high-tech foods will get the Orthodox Union’s approval is deeply interested in their products. Genack marvels at potential for industrial-sized clean-meat operations to reduce the waste of the current meat-production system, with its sprawling factory farms and mammoth poultry barns. In theory, clean meat would require less water and land, emit fewer greenhouse gas, and eliminate animal suffering altogether. The Jewish community is split on whether clean meat is kosher. Genack says he’s poised to offer the new food technology his blessing. That’s good news for the nascent clean-meat industry. More than 40% of American food carries the Orthodox Union’s “kosher” label. But Jews make up only 2% of the American population and, with about just 0.2% of the global population. It’s estimated that more than 1.6 billion people in the world are Muslim—about 23% of the total global population—and are asked to abide by religious rules stating their meat must be considered halal. That number is expected to grow to 2.76 billion by 2050, according to the Pew Research Center. Is it meat or is it food? Chernor Saad-Jalloh sits at his desk and watches with bewilderment as a Hampton Creek promotional video explains the concept of clean meat. Saad-Jalloh is an imam at the Islamic Cultural Center of New York, in the city’s Upper East Side. Traditional Muslim views say god provided animals and plants for mankind to use as food; in Islam, animal flesh has always been considered “meat.” In order for that meat to be eaten, animals have to be slaughtered in a particular way: to start, the slaughterer must use a sharp knife to make a deep incision at the front of the animal’s throat, so the blood drains. An Islamic prayer, called the “bismillah,” must be said over the animal by the slaughterer, as well. So what happens then when animal slaughter is removed altogether? Aly Ghanim, the quality manager for the USA Halal Chamber of Commerce—one of the five biggest US halal certification organizations—had similar concerns. “Part of the halal process is the animal has to be slaughtered properly, so when you take that aspect away it kind of makes it more difficult to decipher,” Ghanim says. To his knowledge, the issue of clean meat has not been discussed in great depth by other international halal organizations. The Good Food Institute is actively working to convince pious Jewish and Muslim leaders that clean meat does have a place in a religious diets. The organization, which supports and lobbies on behalf of clean-meat companies, is led by Bruce Friedrich, who is busy trying to forge alliances with religious groups and answering questions about new products. Friedrich has found himself in a paradoxical situation: to non-religious audiences he argues that clean meat—on a molecular level—is exactly the same as conventional meat. But to those interested in kosher or halal certification, he argues that clean meat is not conventional meat. He makes the case that clean meat is actually “pareve,” the term in Jewish dietary law (from the Yiddish word for “neutral”) for foods that contain no meat or dairy. In other words, clean meat isn’t technically meat. The vegan CEOs of clean-meat startups dream of a system in which no animal will ever have to be slaughtered to be eaten. Hampton Creek touts its ability to make ground chicken from cells collected at the tip of a plucked feather. But that feather-derived ground chicken wouldn’t be considered kosher, Genack says. To be kosher, the cells would have to be harvested from a chicken slaughtered in accordance with religious standards, he says. The same idea would theoretically apply for halal meats, according to a 2017 study of the topic published by the Journal of Religion and Health. One solution would be to establish starter cell lines—not all that different from the yeast starters used to make sourdough bread. These long-lasting lines are called “immortal cell lines,” and the idea is that they would multiply in perpetuity. But it’s no easy feat. “It’s [hard] to collect and establish stem cells, and for years, scientists have been stumped as to how to maintain stable stem cell lines for several farmed animal species,” write the authors of a 2017 report published by the non-profit clean-meat research group New Harvest. That said, cellular agriculturalist Marie Gibbons at North Carolina State University recently figured out how to create such lines for turkeys. In addition, clean-meat scientists at food-tech companies say they’ve made immortal lines for other farm animals, though none have been publicly revealed yet. Tags: cell cultured meat, clean meat, is clean meat halal?